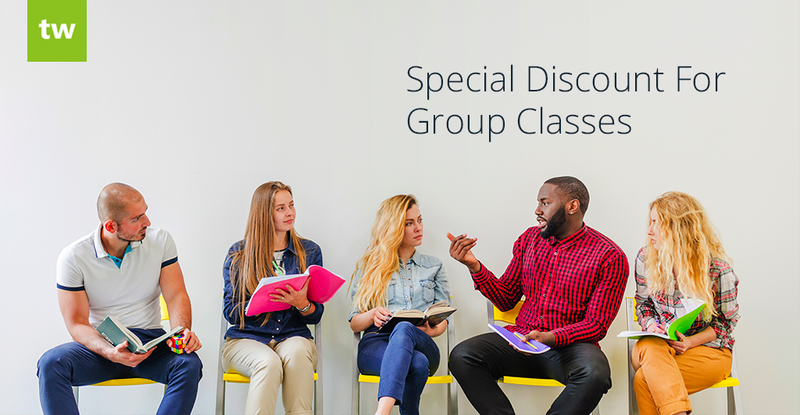 Do you schedule a large number of group classes or lessons on a monthly basis? We’ve added a special discount for companies that schedule lessons with an average of more than 3 students per lesson. This helps to ensure fair and consistent pricing for all of our customers. If you’re using our new pricing, no action is required. The special discount will be applied to your future invoices automatically. If you’ve signed up for Teachworks after July 17, 2017 you will already be on this pricing model. If you’re not sure, you can go to the Subscriptions page in your Teachworks account. If you can see a Starter, Growth and Premium plan to choose from, you’re on our new pricing. This discount is only available for companies on our new pricing, so if you’re currently on our legacy pricing you’ll need to switch to the new pricing first. Before you switch, we recommend first comparing your current pricing plan to the new pricing plans to see which option would be the best for your business needs going forward. If you would like to switch, you can email us at support@teachworks.com and we’ll handle the rest. If a company is on our Starter plan and they schedule 100 lessons per month, this would add up to a monthly fee of $40 ($15 + $0.25 x 100 student lessons). There are two ways to get an estimate of your savings. You can either use the plan calculator on our pricing page to get a rough estimate of what you would save in a typically month, or you can view it in your account. You can go to Account & Settings > Subscription to view your estimated discount for the month. This will appear in the “Next Bill Preview” section (Group Lesson Discount).